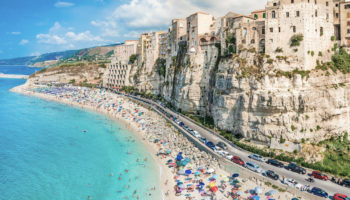 Naples is a whirlwind of an Italian city, with delicious street food, ancient history, Camorra connections and a huge volcano as a neighbour. A visit to the third largest city in Italy means you’ll get to experience the raw Neapolitan spirit first hand. 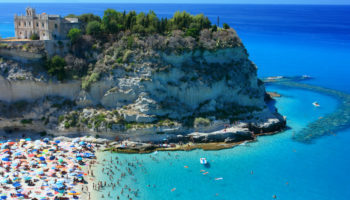 The city itself dates back to the 6th century BC, when it was founded as an Ancient Greek colony called Neapolis – but Greek settlers had been living here for more than a thousand years before that. With its staggering history, Naples boasts numerous monuments from throughout the ages, such as the fresco-filled city cathedral and the stunning subterranean Roman ruins. 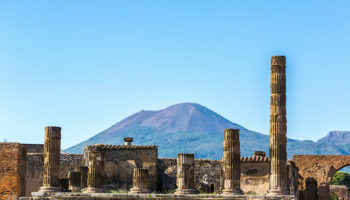 And, of course, there’s the ancient wonder of Pompeii just a train ride away. 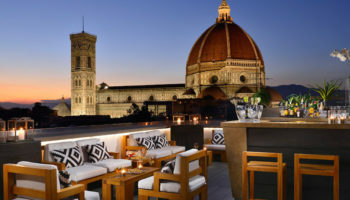 Staying in Naples is easy, thanks to a number of different hotels from family-run bed-and-breakfasts to opulent hotels. Getting around is easy too, thanks to numerous buses and a comprehensive metro system. So what are you waiting for? 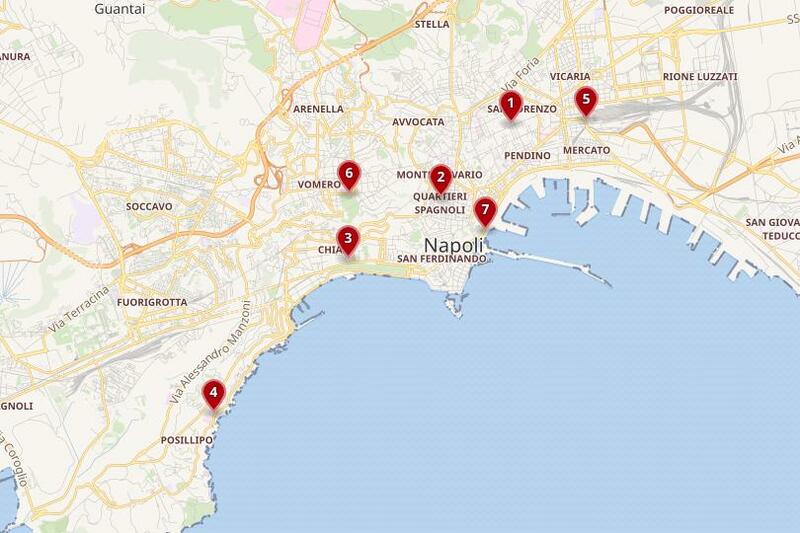 Have a look at the best places to stay in Naples. The amazing Centro Storico of Naples is the perfect setting for your trip to this exciting city, especially if you’re only in the city for a few days. Hotels here range from stylish yet traditional opulence to chic boutique city stays. Naples boasts one of the largest historical centers of any city in the world, and with a grand total of 448 historical monuments, there is a whole lot to see. 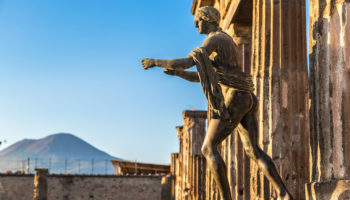 Staying in this area means all of the amazing sites will be right on your doorstep and you’ll be able to spend much of your time admiring the layers of ancient history, as well as life in the center of lively Naples. The historical center is a labyrinth of winding lanes, pleasant piazzas and baroque churches that ooze atmosphere. Make sure to visit the underground Greco-Roman ruins and stroll along the iconic Spaccanapoli shopping street. Amazing architecture is everywhere in this magical area and it’s easy to soak up the charm of Naples simply by walking around the old streets. It’s almost as if they are an open-air museum. Decumani Hotel De Charme – This hotel is housed in a historical building and boasts deliciously ornate dining rooms and lounges decorated with gorgeously intricate tiles, 18th-century mirrors, and golden stuccoes. The private rooms are refined and feature dark, solid wood furnishings, high ceilings, and large windows to let in plenty of natural light. Guests have access to a shaded balcony, which is perfect for some time relaxing after a busy day in the city. 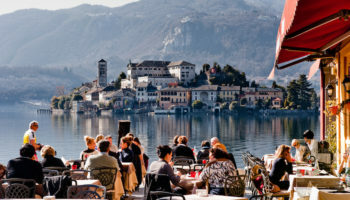 The Piazza Bellini and the San Lorenzo Maggiore church are just a few minutes’ walk away. Albergo Palazzo Decumani – Located just steps from historical landmarks, such as San Gregorio Armeno and Spaccanapoli, this 20th-century hotel reflects the history of the surrounded area. Providing an elegant and comfortable place to stay with a combination of contemporary and traditional elements, there’s a marble spiral staircase, crystal chandeliers and a romantic restaurant and bar accented with colorful pop art. Rooms are decorated in a soft neutral color scheme and feature plush soft fabrics, elegant furnishings, floor to ceiling windows and travertine marble bathrooms. Culture Hotel Centro Storico – Rooms here are minimal in style, have wooden parquet floors, well-appointed bathrooms and are decorated in white, accented with natural plum and olive colors. With its stylish interiors, this hotel provides a warm and welcoming environment. A daily breakfast is served in the hotel restaurant, which sells all-day snacks and drinks in the evening. It’s a fantastic location for those arriving by plane as the airport bus stop is right outside the hotel. Hotel Piazza Bellini – This hotel is located inside a 16th-century building and set around a charming, historic courtyard. Rooms are bright and airy and designed in a tasteful style with simple furnishings, natural wood floors and adorned with artwork from local artists. Throughout, the hotel has plenty of space for guests to relax with a book or enjoy a meal in the fun cafe. One of the poorest areas of Naples also happens to be one of the most authentic areas of the city to stay in if you want to experience real Neapolitan life. Crime is still an issue in Quartieri Spagnoli, but as long as you stay vigilant, staying safe shouldn’t be a problem. 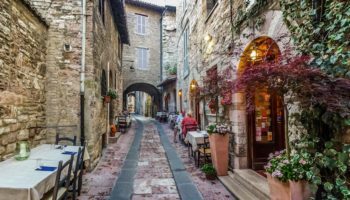 Named for the garrison of Spanish soldiers stationed here in the 16th century to put down rebellions, Quartieri Spagnoli is full of history, culture and good food. Beautiful churches dot the area, such as the Rococo-style Sant’Anna di Palazzo and the 1560 Santa Maria della Mercede a Montecalvario. Here is also where you’ll find Naples’ answer to Paris’ catacombs: Napoli Sotterranea. Try pizza fritta (fried pizza), a tasty local delicacy, at the many food stalls around this buzzing district. Street food here is, like the area itself, authentic. Staying here is affordable, thanks to quite a selection of 3-star hotels and simple bed-and-breakfasts. NapoliMia Hotel de Charme – Rooms at this hotel have been individually decorated with various quirky, colorful art pieces; there are cooling tiled floors along with unfussy modern furnishings and contemporary bathrooms. Some rooms even come with balconies with city views. The charming shared lounged is impressive, decorated with Renaissance paintings on the ceiling and large, antique furniture; this is where a delicious breakfast is served each morning. Hotel Toledo – Situated inside a building that dates back to the 18th century, this is a rustic, simple hotel with a local, friendly feel. The rooms are traditionally decorated with terracotta tiles, white walls, and heavy dark wood furniture, but are cozy and comfortable. The sun-dappled terrace is the ideal spot to enjoy a glass of wine and a meal after a day of sightseeing, while the roof terrace is great for some sunbathing and a game of table tennis. Elegant Chiaia is located along the seafront in an upscale area full of high-end shopping and swanky bars. The sought-after district is where you should base yourself if you are looking for a little glamour and a lot of style. Hotels in Chiaa are housed inside period buildings and usually feature large rooms with fantastic sea views, and often feature relaxing gardens and rooftop terraces with views across the city. Chiaia’s shopping scene is fantastic for fans of designer brands; chic Neapolitans flit in and out of places such as Prada and Armani and then head for lunch along the sea. There is also the chance for more authentic shopping in the selection of independent shops, along with fascinating antique shops and interesting bookshops. Make sure to take a walk along the Villa Comunale, the 18th-century royal garden. As evening falls, join in with the stream of people as they saunter away from Palazzo Reale, with its two bronze horse statues, and head towards Passeggiata. Exe Majestic – Serving up a slice of luxury, this 4-star hotel’s rooms are smart and elegant. Muted apricots and warm grey tones compliment the fashionable light wood floorings and simple, stylish lines of the furniture. Rooms also boast marble bathrooms and stunning views of the city. Guests have the option to use the hotel fitness center – or you could simply spend your time eating in the many fantastic restaurants right on the doorstep. The Villa Comunale is an easy walk from the hotel, as is the Sant’Elmo Castle. Palazzo Alabardieri – This hotel is situated close to Piazza del Plebiscito and a stone’s throw from the high-end shopping of Via Chiaia. Staying here means being able to luxuriate in the delicate historical details throughout the hotel, from the charming, oval-shaped marble lobby to the traditional lounge decorated with oil paintings and large sofas. Guests can also enjoy evening drinks in the cozy, wood-clad bar area. Rooms feature large windows, patterned carpets, draping curtains, and some come with seating areas. Chiaja Hotel de Charme – Bursting with antique furniture and traditional decor, this small, rustic hotel provides a relaxing place to stay a mere 20 meters from the Piazza del Plebiscito and near to the Bourbon Tunnel. Situated inside a charismatic old building, guest rooms have terracotta tiled floors and large beds, all decorated with rich dark red and green color schemes. A fresh breakfast is served every day in the attractive dining room and there is a wide choice for drinking and evening dining nearby. This southern area of Naples has been popular with wealthy inhabitants ever since rich Romans started building their villas here. That tradition has continued through the ages to this day, making Posillipo a well-to-do residential area, and noticeably calmer than the rest of the city. The Italian president even has a place here, known as the Villa Rosebery. If you want to stay in this area, book a room at one of several midrange bed-and-breakfasts. Here you can even catch a glimpse of how the elite used to live, thanks to a number of surviving villas clinging to the coast; one of the more famous is the Villa Donn’Anna, built in the 1640s. But the star of the show is the amazing archaeological park, home to the stunning Imperial Villa, dating back over 2,000 years. This building is even connected by a tunnel to other villas of elite Romans, and makes for a great day of historical exploration. B&B La Nave – Housed inside a large villa, this bed-and-breakfast provides warm and comfortable accommodation. The rooms are immaculately clean and well maintained and feature large beds, tiled floors, and modern bathrooms. Breakfast is served daily, surrounded by fruit trees on the terrace. Its location, perched atop a cliff, means guest can enjoy fantastic views of the surrounding area and the sea – especially from the large gardens. Situated very close to the beach in Naples, it’s also within walking distance of the scenic Virgilian Park. Basing yourself in the immediate vicinity of Napoli Centrale is great if you’re planning to travel by train (to nearby Pompeii, for instance). It’s also the location of the underground station of Napoli Piazza Garibaldi, making it extra convenient for getting around the city. Staying here is easy, thanks to a few budget options practically on the doorstep of the station, with others dotted around the area, too. The nearby Piazza Garibaldi itself is as lively as any square in Naples. It’s good to start the day with a coffee here, so get yourself to one of the cafes here, such as the great Bar Mexico, and sip on a coffee as you watch life go by. But if you find that area around Napoli Centrale isn’t very fascinating in itself, and can be a little tourist-centric (watch out for scams), it’s just a quick and easy walk east from here to the beautiful Centro Storico. Starhotels Terminus – Sophisticated and stylish, rooms at this hotel are large and feature comfortable beds, warm blue carpets, and large windows. Some rooms even include additional children’s rooms and lounge seating areas. This elegant hotel’s restaurant serves up a menu of traditional and international cuisine, whilst the bar serves late night cocktails and snacks. The hotel’s sun terrace boasts magnificent views of the city and surrounding mountains. The location is truly just steps from Napoli’s Central Station, which makes it fantastic for exploring the city – and further afield. B&B Sweet Sleep – It’s a simple option, but B&B Sweet Sleep is true to its name; offering a comfortable stay in its unfussy rooms, which feature private bathrooms, desks, and city views. Guests can even order room service. For a spot of relaxing, head to the rooftop terrace with its hot tub or chill in the lounge. In this B&B’s dining room, you’ll get a complimentary breakfast served up every morning, too. Naples Cathedral can be easily reached on foot from B&B Sweet Sleep, and the Principe Umberto tram stop is a few minutes away. This central, urban area of Naples is famous for its hills, unusual for a city that’s almost always mentioned for being a coastal town. 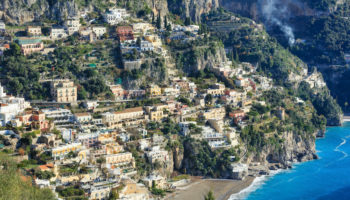 Being the geographical uptown of Naples it has always played host to the city’s middle classes similarly to Posillipo, but not quite to such an extreme of wealth. That does mean, however, that you’ll be able to find a number of midrange hotels here, and few luxury options, too. There’s a lot going on in this district. You’ll find a historic market in the area of Rione Antignano (particularly good at Christmas). 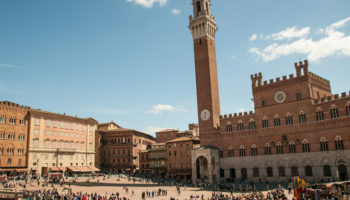 Roads leading off from Vomero’s octagonal Piazza Vanvitelli offer a mix of street food and international franchises, local shops and big name brands. 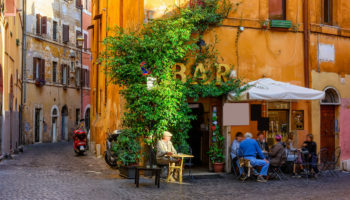 Piazza Fuga is a good place to start if you’re looking for nightlife, with some cool lounge bars nearby, but Via Aniello Falcone wins the day. It’s a long road filled with bars, some open all night. Hotel Cimarosa – The rooms at this contemporary 3-star option are simple and cozy, yet imbued with a sense of minimalist style, making it a fitting choice for staying in this part of Naples. The modern rooms come with their own flat screen TVs and seating areas, while if you opt for a suite, you’ll be treated to a spa shower or a hydromassage bathtub. There’s a bar and lounge on site for meals and drinks, and breakfast is complimentary. Getting around the city is easy thanks to Vanvitelli metro stop, just a short walk from Hotel Cimarosa. Naples has a busy port with cruise ships and cargo ships docking here from all over the world. The port is actually one of the busiest in the whole of the Mediterranean sea, but despite its large size, it’s situated close to historic parts of the city. A convenient place to base yourself if you are arriving or leaving Naples by the sea, it’s possible to walk from the port area to more interesting and touristed districts. The Piazza Municipio is an easy walk, as are a selection of historical churches and decadent palaces as well as the San Carlo opera house. 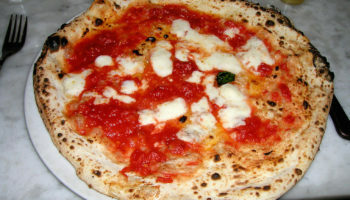 The authentically Neapolitan Quartieri Spagnoli is also reachable on foot and boasts tasty local street food. Hop on the metro at Municipio and you’ll be able to travel around the city with ease. Staying in the port area might mean missing out on a little of the city’s charm, but you’ll be able to get a room with views of the sea. There is a selection of mid-range options near to Piazza Municipio itself with a few more expensive offerings close to the waterfront. Hotel Romeo – Hotel Romeo comes packed with enough amenities to keep guests busy, ranging from a fitness center, rooftop pool and a spa to a playroom and games room. There are two different restaurants to choose from, as well as a bar complete with sea views. The rooms at this upscale offering are decidedly plush and even feature marble bathrooms. Featuring views of Mount Vesuvius, this hotel is within walking distance of the Teatro di San Carlo and just a few minutes’ walk away from the nearest metro stop. Grand Hotel Vesuvio – This is certainly a grand choice for a 5-star hotel; it comes with its own sense of history, having opened its doors in 1882. Throughout, original and classic touches abound, such as parquet floors and balconies; some rooms even come with sumptuous sea views. When it comes to amenities, guests will find a fitness center, rooftop terrace, and a spa – as well as an indoor pool and a hot tub. As a bonus, there’s a complimentary breakfast served in the beautiful dining room each morning.